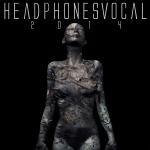 Sign up for Broadjam today to follow Headphones Vocal, and be notified when they upload new stuff or update their news! This is my latest EP. Ful of sounds.....lol it's free and its for absolutely anybody to use. This is the first track from my Ether EP. Just a preview of tracks that i will be uploading tomorrow. Track 3 on my Ether EP. 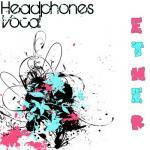 It is part of my Ether EP. It's different from the other tracks and has a more morbid feel to it. 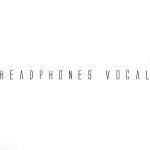 The vocals are a speech synthesizer i use for all of my electronic vocals. This is the bonus track from my Ether EP. I use a speech simulator to create the vocal, here's a list of FX i use. 2 types of reverb Flangus (a type of flanger) 2 Vocoders Multi-band Compressor Limiter Dynamic Manipulator (more compression and limters through a vst) Maximiser (extra post compression) Harmoniser/Sterio FX with Delay and Phazer Parametric EQ Delay I use this same preset for all my vocals and change settings accordingly to what track i am making at the time. This is the final track for Ether.